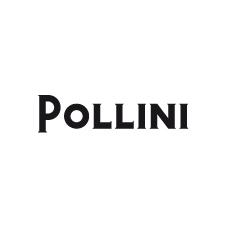 Pollini was founded in 1953 in San Mauro Pascoli, a small town in Emilia Romagna. With time, this area became an authentic shoemaking district thanks to the local highly skilled artisans. Pollini's brand continued to grow throughout the years. In 2001 the brand was bought out by the prestigious luxury brands group Aeffe.